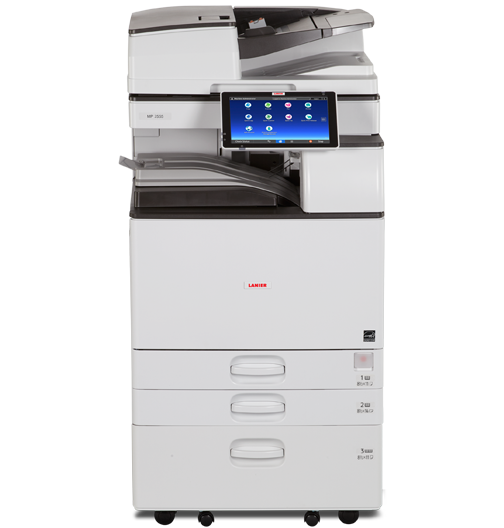 Place up to 100 black-and-white or full-color originals in the Automatic Reversing Document Feeder (ARDF) version for fast, affordable scanning at up to 80 images per minute (ipm). With the Single Pass Document Feeder (SPDF) version, you can scan both sides of a document in one pass to expedite scanning tasks significantly with up to 180 ipm throughput. Download convenient single-function apps %u2014 such as Scan to Folder and ID Card Copy %u2014 from the Application Site to automate everyday tasks with a single touch. Use the embedded web browser to grab information from websites or cloud-based storage applications, including Dropbox%u2122 and Google Drive%u2122, and print it with incredible convenience. Download the Smart Device Connector app to grab information directly from your smartphone or tablet or favorite cloud-based application (like Google Drive%uFFFD or Dropbox%uFFFD) and print them on demand. Simply connect via the Near Field Communication (NFC) tag on the MFP to authenticate. You can even send electronic files to your personal mobile device and take them with you.